When approaching framing for a client, there are two main goals to consider: framing simply for ease of display or framing to protect an investment made in a work of art. As fine art consultants, we primarily focus on custom frames to protect the integrity of our client's art collections and maintain archival standards, ensuring long-term stability of the artwork. 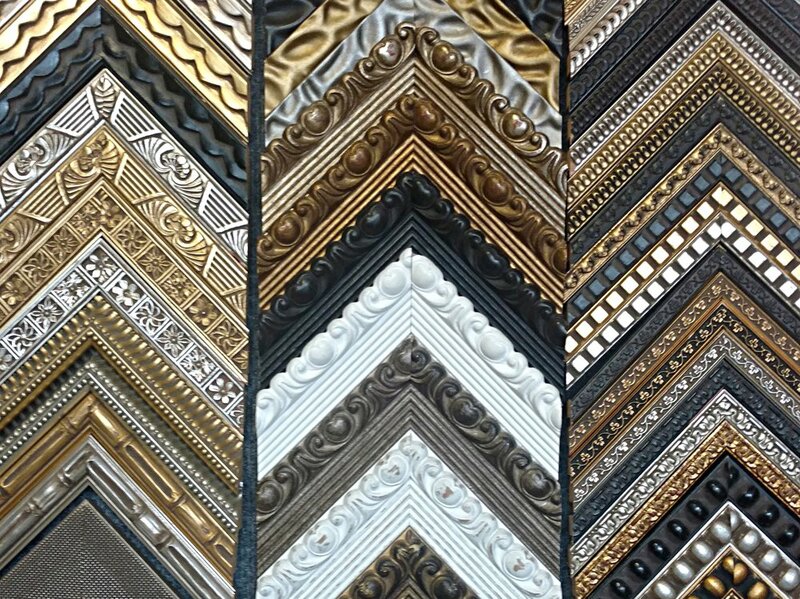 Many factors contribute to the quality of a frame that we would recommend. Since DeGroot Fine Art is based in Chicago, we partner with local framers at the top of their field who work for elite organizations and museums, including the Art Institute of Chicago. The framing process includes multiple custom components, including the profile, mat, glazing, and seal. For wood frames, each profile is custom built with hand-cut wood that can be stained to match existing design and furniture in a client's work space. We also collaborate with metal fabricators to create polished stainless steel frames when preferred. Once the frame is complete, they hand-cut mats to best support the artwork, using archival materials to ensure the long-term stability of the artwork. Next a museum-grade acrylic is selected and fitted to filter UV rays (notorious for fading pigments) while minimizing glare. Finally, the framer seals the back of the frame, protecting the interior space and artwork from dust and other contaminants. The framer's craftsmanship is consistent and meticulous through every step of their process. "A framer's work can be just as much an art as the work of the artist themselves" says Dana McMahan for Apartment Therapy. Her recent article about the expenses of framing was insightful and added context to this topic; we recommend checking it out to learn more about the nuances involved in framing fine art.